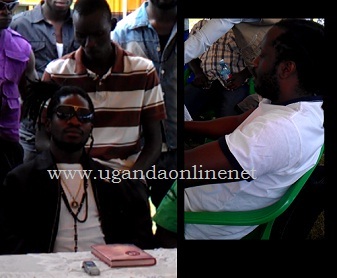 Bebe Cool and Bobi Wine were today at Kyadondo Rugby Grounds for a press brief ahead of the Friday show of the Battle of the Champions. Bebe Cool was at the venue on time and Bobi Wine came forty minutes later. Bobi Wine came walking with a swagg together with his crew members, said hello to whoever was around and he took his position. 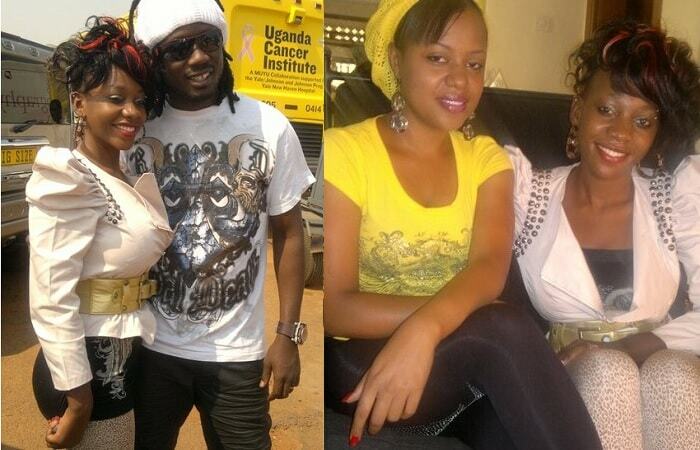 Bebe Cool joined minutes later. 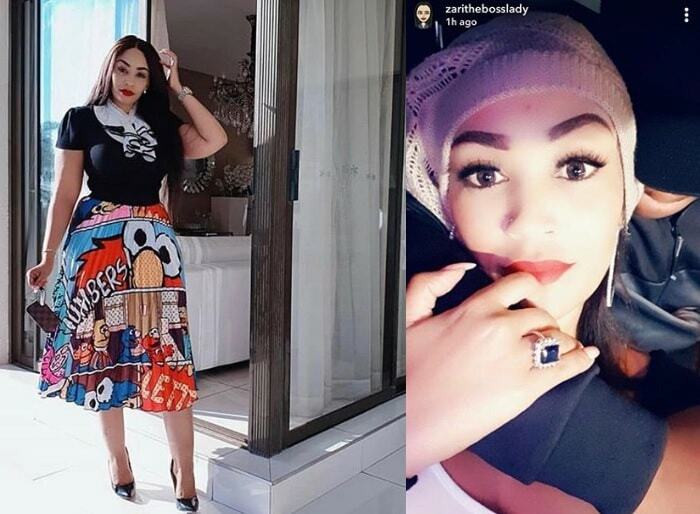 Bobi demanded that he greets the people he has found around but they told him that he had done that already now that he came earlier on. Silk events crew had started erecting the stage that will see these two top artistes battling it out musically. The show organised by KT Promotions who have been in the industry for 12 years have sunk over Shs200m in this show. The press briefing had an advanced team of security operatives who will be beefed up closer to the d-day. 500 police men, 100 military policemen and two units from the dog section will be part of the security on the battle of champions in the same venue that left over 70 dead in the July 2010 bombs. They do not want to take chances in fact Bebe Cool wanted that the number of policemen be increased to 1,500. The police officer who attended the press briefing said plain clothes policemen will be part of the security. The Ghetto Gladiator was asked to say something and he said that it should be journalists to ask and then they can respond. One journalist asked a question and they asked Bobi that they wanna hear from him. "You wanna hear from me, that's no protocal, I'm the President and Bebe Cool was my Vice President when he was in Fire Base, he never resigned and I have never discharged him, he never wrote a resignation letter, so I consider him still my Vice President so he has to speak before me, just follow protocal thank you very much, wama yogera"
Bebe Cool obliged and thanked for the opportunity which he said was his first to talk to the gladiator. He said that he was not here to argue on who speaks first or last because he last did that when he was 17 and half after 18, I got to the point straight. The gentleman from KT Promotions closed the session and Bebe Cool walked off calling journalists for a 1on1 though Bobi Wine asked him to stay behind as he had something to say but Bebe simply ignored.